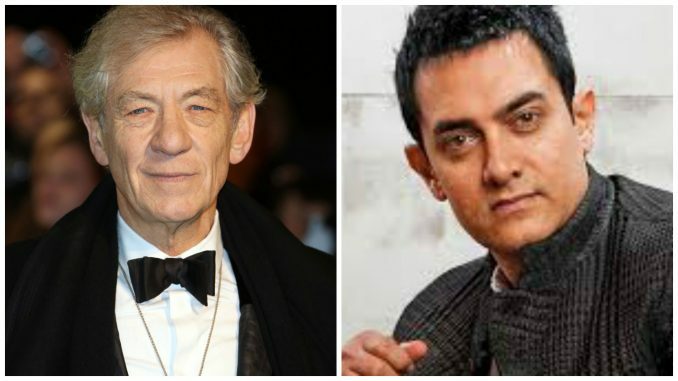 HomeCinemaMasalaSir Ian McKellen to Meet Aamir Khan on 23rd May! Sir Ian McKellen to Meet Aamir Khan on 23rd May! Sir Ian McKellen, an American actor who is a recipient of a lot of reputed awards is all set to visit India in the month of May. MAMI Film Club is partnered with the British Council, the BFI, GREAT, NCPA and Fountainhead to bring Ian McKellen and the incredible ‘Shakespeare Lives on Film’ programme to India. In its seventeen-year history, MAMI will, for the first time, be opening its doors for a year-long engagement with its patrons. While he is here, the American actor is going to be in conversation with India’s perfectionist, Aamir Khan on Shakespeare’s legacy and world cinema at large. Shakespeare’s legacy across theater and film has been unparalleled. It has transcended borders and has been adapted, represented and celebrated globally. 2016 isthe 400th anniversary of Shakespeare’s death. To mark the occasion, the two will be having this conversation. The conversation is slated for 23rd of May in Mumbai, in presence of a large audience consisting of cinema enthusiasts and will mark the debut outing of MAMI Film Club, which will soon roll out an exciting year-round programme of activities for the denizens of Mumbai. This promises to be a landmark event and we are thrilled to partner on it. It will be an interactive and highly enriching session and everyone who will be a part of this is really looking forward to it. Moreover, having cinema legends like Sir Ian McKellen and Aamir Khan discussing the works of another legend, Shakespeare will definitely be a big treat for all their fans. Thank You Portia De Rossi, For Exposing Steven Seagal! Fashion Star Got It Right Kara Laricks Is A Winner!